We, the undersigned organizations, write to express strong support for SB 822. 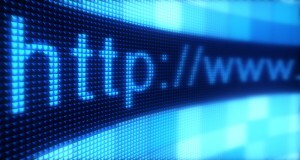 The bill comprehensively restores the net neutrality protections embodied in the Federal Communications Commission’s 2015 Open Internet Order for Californians. We have long supported strong, enforceable net neutrality protections to ensure an open internet for consumers, free of interference by internet service providers (ISPs) that Americans pay to get online. Net neutrality is the simple principle that consumers—and not their ISPs—get to choose what apps, services and websites they want to use. Net neutrality ensures that competition and the free market, not backroom agreements and self-dealing by ISPs, determine winners and losers online, and that all voices, including those of speakers without deep pockets, have a fair chance to be heard online.